A new partnership dedicated to tackling rural crime in the North East and improving safety in remote communities has been launched. The North East Scotland Rural Crime & Safety Partnership is comprised of more than 20 partners involved in rural affairs who have pledged a commitment to sharing their knowledge, experience and expertise to tackle the issues that impact rural and remote areas the most and the people who live and work in them. The group will bring together senior representatives from organisations and stakeholders including Police Scotland, Food Standards Agency, the Driver & Vehicle Standards Agency, the National Farmers Union and the SSPCA, focusing on areas including road safety, acquisitive crime, agricultural safety, live-stock worrying and hare-coursing. The partnership will also supply ongoing feedback on the delivery of a new rural crime and safety strategy to ensure the region remains one of the safest places in Scotland. • Rural housebreakings amount for under a quarter of all house-breakings reported in the North East. Detection rates are at the highest point in four years. T/Superintendent Murray Main from Police Scotland's North East Division, and chair of the new Partnership, said: "There are many benefits to living, working and investing in the North East and we should be justifiably proud of our rural and beautiful countryside and coastal areas. "I am also glad that the North East is one of the safest areas of the United Kingdom however we know that the impact of crime is often greater on victims in rural areas due to their remote and isolated locations, making them feel more vulnerable and concerned. This is why we need to work with partners, residents and businesses to keep people safe and ensure property is protected. "It is important we collectively listen, understand and respond to what matters the most to our communities whether they are city, urban, rural or remote. The standard of policing for example cannot and will not be defined by location but must be agile enough to adapt to different locations. "Moving forward our strategy will detail the prevention, intelligence, enforcement and reassurance measures we can take collectively to reduce crime by all the partners sharing their knowledge, experience and resources. 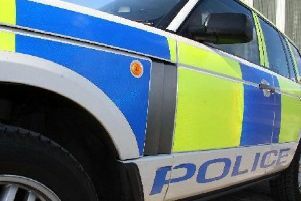 There are still too many serious incidents on our road networks and we need to work closer with rural communities to tackle issues like agricultural safety, acquisitive crime and livestock worrying. "I am very proud and pleased to be launching this partnership - by working together we can protect the most vulnerable and work hard to help those in rural communities who need additional support." Aberdeenshire Councillor Anne Stirling, Chair of Communities, said: "The safety and well-being of people living and working in rural and remote communities is paramount which is why I welcome the launch of The North East Scotland Rural Crime & Safety Partnership today in conjunction with Police Scotland and many other partners. The expertise and willingness of everyone involved to play their part in making the region an even safer place to live will safeguard our communities for years to come." Members of the Partnership include - Police Scotland; Scottish Fire and Rescue Service; Aberdeenshire, Aberdeen and Moray Councils; Ministry of Defence Police; SEPA; SSPCA; Animal Health & Plant Agency; Forestry Commission; British Horse Society Scotland; Food Standards Agency; NFU Scotland; Scottish Land & Estates; Driver & Vehicle Standards Agency along with representatives from Fisheries across the North East. 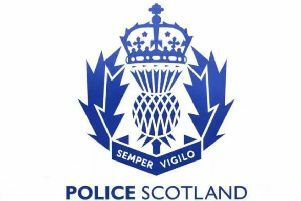 Members of the Scottish Partnership Against Rural Crime (SPARC) and Aberdeenshire Rural Partnerships Federation are also involved.